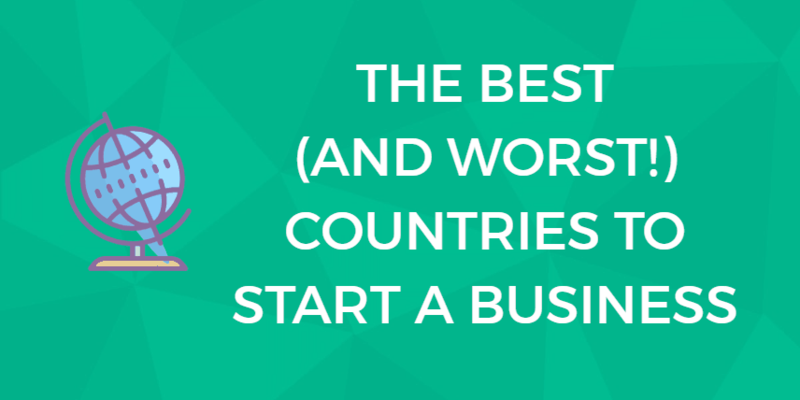 Starting and building a business can be equal parts terrifying and exhilarating. You get to spend your days building something you believe in, something that matters. You are finally able to be the master of your own fate which means getting credit for the success, but also being responsible for overcoming every obstacle. There is a lot of joy in building a business, but also some fear and uncertainty. No matter where you are in your small business journey, it is important to know you don’t have to go at it alone. There are a wealth of associations and organizations throughout the United States committed to helping new and existing business owners flourish in the local, state, and national economies. Whether you are facing a specific hurdle, want to meet more people like yourself, or need more funding to make your vision a reality, there are dozens of small business organizations ready to help you succeed. With varying aims, levels of assistance, and targeted programs, these small business associations are unified in their aim to help business owners flourish in the current economic times. Beyond these, a quick Google search will provide you with hundreds of small business organizations. Unfortunately, not all of those organizations will be helpful or even legitimate. In order to save you time (so you can focus on building your business empire! ), we’ve done the research for you and narrowed the list down based on location and a few niches — including a special section for veterans. Read on for our full list of small business associations to find an organization that can help your business grow, or use the navigation to jump to a specific state. If you have additional suggestions, please let us know! Small businesses have long been the backbone of the United States’ economy. In fact, there is an excellent chance that you or someone you know makes their living working for a small business. According to the SBA, there are 28.8 million small businesses in the United States. Combined, small businesses employ 48% of the national private sector workforce. If you are looking to join millions of other small business owners by starting your own business, there are plenty of resources to help you find training, financing, and like-minded business owners in your area. The SBA is a well-respected independent government agency that offers small businesses access to resources, education, funding, and contracting assistance. There are multiple local branches of the SBA, which are listed by state in the list below. BNI is a global organization dedicated to helping businesses grow through networking and referral marketing. Their mission is to help their members create mutually beneficial, professional relationships. They have lothroughouts through out the world. The NSBA is a non-partisan small business advocacy group based in Washington D.C. Their goal is to protect the interests of small business owners as well as offer resources and information. EO is a worldwide network with more than 12,000 members around the globe. 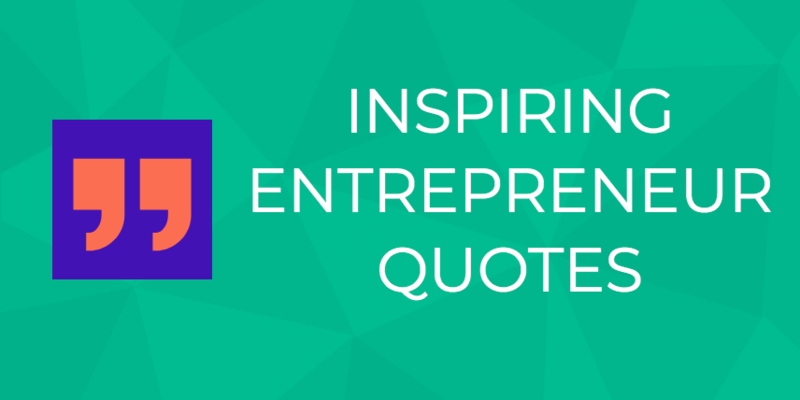 They offer programs and events tailored to the unique needs of entrepreneurs. The MBDA is a government agency dedicated to helping minority-owned businesses grow through advocacy and access to funding, resources, and contracts. The NWBC is proud to be the “government’s only independent voice for women entrepreneurs.” The council is composed of 15 appointed members who conduct research and share information aimed at improving opportunities for women-owned businesses. The NRA is the “largest foodservice trade association in the world.” They are dedicated to providing resources and advocating for businesses in the foodservice industry through events, education, research resources, and more. SCORE is a partner of the Small Business Administration and provides access to mentoring, workshops, and education to help build or grow your small business. The SBEA is an organization dedicated to advancing opportunities for small and medium exporting businesses through advocacy and education. After serving in the military, many veterans choose to return home and continue to serve our nation by starting small businesses that create jobs and drive our economy. 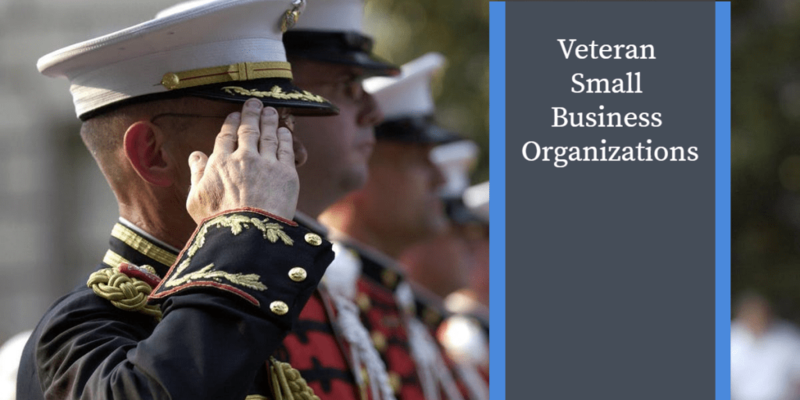 According to the SBA, veterans own 2.52 million businesses in a variety of industries, including start-ups, export, e-commerce, and franchise businesses. If you have spent time in the military, there are small business organizations specifically dedicated to helping your business succeed. The NAAV offers veterans a variety of services, which include training and resources to start your own business. The NVBDC is a non-profit organization offering veterans resources to build their small business. Most notably, this includes a well-respected Veteran Owned Business Certification program. The NVSBC is dedicated to helping veterans transition from military life to successful business owners in the federal marketplace. They achieve this goal through advocacy, training, networking, and grants. The VBOC is a branch of the Small Business Association (SBA) dedicated specifically to offering resources, training, and grants to veterans. Looking for local small business associations and resources? 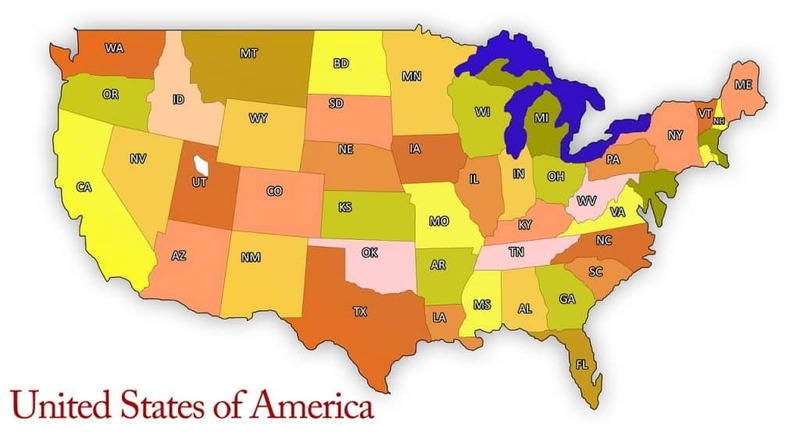 Check out our list of small business organizations by state. With a population of nearly five million, Alabama is at the epicenter of the Southeast regional market comprising eight states. Strategically located, the state SBA chapter of Alabama is located in the Birmingham metropolis and is tasked with serving all of the sixty-seven counties in Alabama. Alabama’s SBA chapter offers its many services to over 86,000 businesses with employees of which over 97% were small business enterprises. The SBA also assists self-employed individuals, who comprise nearly 209,000 of the area businesses. Helping the people of Alabama fund, grow, and sustain their businesses. They have been offering professional assistance since 1985 for companies that choose to compete for government contracts. “The Voice for Alabama Business” was founded in 1985 and continuously strives to improve the business climate of Alabama by addressing the concerns of small businesses. Also known as “The Last Frontier,” Alaska is home to 739,795 people, according to the U.S. Census Bureau, and has a fast-growing small business economy. In fact, small businesses employed nearly half of the Alaskan workforce in 2015 according to SBA’s 208 Small Business Profile. If you are looking to grow your small business in Alaska, the following resources can help. The Alaska District SBA Office offers a wide range of services geared towards helping Alaskans start, manage, and market their businesses. These services include offering financial assistance programs for both new and existing companies via the 8(a) Business Development Program. The SBA Alaska also offers business owners free counseling on starting, operating, and expanding their small businesses, and an impressive collection of affiliates and resource partners including SCORE mentors and local training seminars. The MBDA Business Center in Anchorage is tasked with assisting tribal enterprises, Alaska-Native corporations, and minority-owned businesses with access to capital, contacts, and education. This site for Homer, Alaska, provides local businesses and start-ups with free counseling, affordable business training, and tech workshops. With nearly 1 million workers in the state of Arizona working for small businesses, Arizona’s economy is heavily dependent on the success of small businesses. According to the SBA, The Grand Canyon State is home to 553,779 small businesses and that number continues to increase each year. In fact, a whopping 99% of Arizona businesses hold the distinction of being small business enterprises and are directly responsible for employing more than half of the state’s workforce. If you own a small business in Arizona or are thinking of starting one there are plenty of resources to help you grow. Here are a few. The Alabama District SBA Office plays a critical role in the advancement of the Arizona state economy. Located in the heart of Arizona, the sixth largest state in the country, the Arizona SBA operates out of Phoenix – the sixth largest U.S. city with nearly 115,00 square miles, over 400,000 businesses, and a rapidly growing population. Arizona’s largest business association provides resources for small businesses through every stage of development. The Arizona Small Business Association is a statewide organization representing 11,000 small businesses with over 500,000 employees. With a total population of 325 million people, according to the U.S. Census Bureau, Arkansas is the 32nd most populated state in the Union. And, according to the SBA, 47.8% of Arkansas employees work for small businesses. For more stats about small businesses in Arkansas, check out the 2018 Small Business Profile from the SBA. Looking for resources to help you build and grow your Arkansas small business? Check out the small business organizations below. The Arkansas chapter of the SBA has two offices – one in Little Rock and another in Fayetteville. Together, the office serves more two hundred thousand small businesses that directly employ half of the state’s workforce. Through the SBA, small business owners in Arkansas have access to roughly $100 million in financing, in addition to management and operations training, as well as mentorship and consulting services. Most notably, the Arkansas SBA helps entrepreneurs pursue crucial contracts from state and federal government contractors. Other highlights of the organization include their state-of-the-art UALR business resource library, affordable training modules, and on-location management education. If you own a small business in California, you are in good company. The Golden State is home to 3.9 million small businesses which employ a total of 7 million Californians, according to the SBA. Ready to grow your small business in California or start your business join 3.9 million other owners? Check out the small business organizations below for help with financing, mentorship, and more. The Los Angeles District Office (LADO) of the SBA serves nearly twelve million residents within the Los Angeles, Ventura, and Santa Barbara Counties. The tri-county area is the nation’s top-ranking center for manufacturing and international trade. For the fiscal year 2016, LADO ranked as the leading lending market in the United States. In the same year, LADO ranked number one out of all national SBA offices for financing 3,240 businesses valued at nearly one and a quarter billion dollars. The leading association for family businesses in California. They represent family businesses in the courts and help to overcome any and all economic obstacles they may be facing. The CABB is a professional trade association whose goals are to assist their members and clients with the buying, selling, and evaluating of businesses. Colorado might be best known for having the highest elevation in the country, but the state is also home to more than 1 million small businesses that employ 48.6% of the state’s private workforce. Most notably, these small businesses contribute to Colorado’s low unemployment – which was 1.1% below the national average in 2018. Colorado businesses have a track record of thriving – in fact the mean income for self-employed individuals is currently $49,444. And in 2013, entrepreneurs opened 13,881 establishments; of those nearly 80% survived until the following year. Looking to start or grow your small business in Colorado? There are plenty of resources to get you started. Check out our list of Colorado small business organizations below. Currently, over a hundred financial institutions are providing SBA guaranteed loans in Colorado. For the fiscal year 2016, SBA Colorado approved 1,996 loans valued at $827 million. The CACI has been among the state of Colorado’s most dynamic advocacy organizations for over fifty years. They aim to help create a healthy business climate in the state through advocating for businesses and increasing the number of qualified workers. The CTA is a collaborative effort to advance technology and the tech industry in the state of Colorado. The four pillars of their work include advocacy, talent, community, and economy. Connecticut is the third-smallest state in the union, clock in at around 5,000 square miles. Their small business economy, however, is booming. In fact, small businesses in Connecticut employ a total of 735,788 Connecticuters, and that number is multiplying. Looking for resources to grow your small business in The Constitution State? Check out the organizations below for resources, financing, and more. The Connecticut District Office of the SBA is responsible for the successful delivery of the SBA’s index of services and programs to the residents of the state of Connecticut. Connecticut is comprised of eight counties: Hartford, Fairfield, New Haven, Litchfield, Tolland, Windham, and Middlesex, New London. Operating out of its headquarters in Hartford, the Connecticut chapter of the SBA strives to provide small business owners and entrepreneurs financing, counseling, and an array of specialized outreach services. The CT Business & Industry Association strives to make Connecticut a premier state for businesses and jobs through driving change on the legislative and regulatory levels. Ashford Business Association’s primary goal is to promote businesses in Ashford and the surrounding locations. Delaware may be small, but the small business economy is mighty. The nation’s second smallest state is home to more than 79,000 small businesses which employ 45.3% of the Deleware workforce. If you have been thinking of starting a business in Deleware, the timing is right – in the third quarter of 2017, the Deleware economy grew at a rate of 5.7%, much faster than the U.S. average of just 3.4%. The following organizations provide support and financing for Deleware small businesses. This branch of the SBA serves Kent, New Castle, and Sussex Counties. They offer a variety of services including monthly programs and other small business resources for residents looking to start or expand their small business. This venerable institution has been assisting Delaware’s business community since 1837. They strive to strengthen the overall competitiveness of business in Delaware so all of its citizens can reap the benefits. Best known for being the capital of the United States, it might surprise you to discover that the District of Columbia is home to a growing small business economy. In fact, 47.4% of private sector workers in D.C. make a living by working for small businesses. Are you considering joining the 72,837 small business owners in Washington D.C.? Check out the small business organizations below for funding assistance and other resources. URL: Small Business Association D.C. Dedicated to helping small businesses succeed, the SBA offices in D.C. offer training and access to funding. This branch of the SBA also services the Maryland counties of Montgomery and Prince George. The DC Chamber of Commerce seeks to be “A strong and steadfast voice for DC business in the District of Columbia.” They offer events, sponsorship opportunities, roundtable discussions, and more for members. The DC WBC is a business development organization dedicated to helping women entrepreneurs in the Washington, DC area. They offer training, tech assistance, and consultation to help women-owned businesses succeed. The Sunshine State may be best known for palm trees and sandy beaches, but it is also home to more than 2.5 million small businesses. The state’s economy is mostly driven by tourism, making it an ideal place to start or expand your small business. Learn more about unemployment rates and the overall Florida economy in SBA’s 2018 Small Business Profile for Florida. Ready to launch your small business? Check out the following Florida small business resources. The Florida Small Business Association currently serves the 18.8 million population and sixty-seven counties comprising Florida state. Helps Orlando citizens start and grow their small businesses into successful enterprises. The IBIA is an international community of entrepreneurial and small business support organizations. The Peach State is home to more than one million small businesses. In the past year, those businesses have created a total of 73,000 new jobs for the state of Georgia, bringing the average state unemployment level down to 4.5%. Need more proof that business is booming in the south? How about the fact that in 2016, the median income for a self-employed individual in Georgia was $45,293. Learn more about the state of Georgia’s economy and the future for small businesses in the SBA’s Small Business Profile of Georgia. Ready to make your mark and join 1 million other business owners? The small business resources below will help you get there. The Georgia District Office for the SBA is nationally ranked as a top producer of SBA-guaranteed loans to small and medium businesses. Over the years, the Georgia chapter of the SBA has developed a multitude of programs, initiatives, and outreach efforts to help small business owners and entrepreneurs grow their companies. Some of the most popular events at the Atlanta SBA include monthly meetings featuring the Minority Enterprise Development Program and program orientation workshops throughout the week. Since its commencement in 1951, the BBA has been integral to the advancement of the Buckhead small business community. The DBA strives to connect businesses through networking for the sharing of information, standards, tips, business practices and more. What comes to mind when you think of Hawaii? Crystal blue waters and white beaches might be beautiful, but the small business economy should be the real star of the show. The Aloha State is home to nearly 1.5 million American citizens and over 125,000 small businesses – more than half of which are owned by minorities. If you are looking to start or grow a small business in Hawaii, check out the following small business organizations. The Hawaii District Office is tasked with the delivery of the SBA’s many programs and initiatives to the State of Hawaii, the Territories of American Samoa and Guam, the Federated States of Micronesia, the Commonwealth of the Northern Mariana Islands, the Republic of the Marshall Islands, and the Republic of Palau. A special focus worth noting from the Hawaii office is assistance for economically and socially disadvantaged persons through the Business Development Program. A professional membership organization, the Hawaii Society of Business Professionals was founded in 1974 as a non-profit 501(C) and began its journey as the Hawaii Society of Corporate Planners. Looking for opportunities in The Gem State? 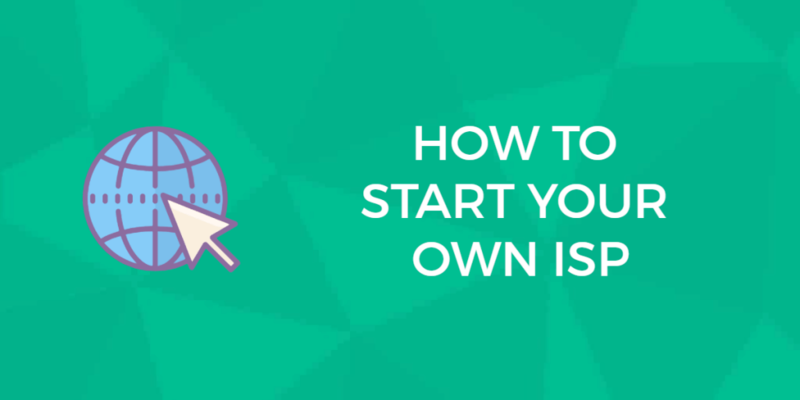 Consider starting your own small business. According to the SBA, Idaho is home to nearly 160,000 small businesses which employ more than 55% of the state’s workforce. And business is growing – business ownership in Idaho was up 2.2% in 2016. Ready to start your small business in Idaho? Check out the following small business organizations dedicated to helping Idahoan businesses grow. The SBA Boise Office is responsible for serving thirty-four counties in southern Idaho and six eastern Oregon counties. The office strives to help small business owners succeed via an integrated approach offering financial assistance, counseling, mentorship, and a variety of resources. This organization strives to help small businesses in Idaho flourish while fighting to improve state legislation and policy for a brighter economic future. Illinois’ nickname is The Praire State, but there is much more to the state than corn fields and The Cubs. If you are looking to build or grow your small business, Illinois is a great place to do it. In 2015, Illinois small businesses employed 2.5 million people – nearly 45.5% of the entire private workforce in the state. Learn more about the state of small businesses in Illinois from the SBA. Looking for small businesses assistance in the Land of Lincoln? Check out the resources below. The Illinois chapter of the Small Business Association has locations in Chicago and Springfield. The Chicago office is tasked with serving the twenty-nine counties in northern Illinois, while the Springfield office serves the seventy-three counties composing the southern and central part of the state. In 2015, over 2,361 businesses were assisted by SBA Illinois through the procurement of nearly $1 billion in loans and financing. The SBA of Illinois also helps businesses find funding, get contracts, and much more. In business for over 40 years, the GOA Regional Business Association’s mission has been to stimulate the business economy in the state of Illinois by providing opportunities to network, market, and learn. The United Business Association of Midway encourages, supports, and develops an active and strong business community in the Midway area. Nestled just below The Great Lakes lies the great state of Indiana. With a population of more than 6.5 million U.S. citizens, The Hoosier State might be best known for being home to the Indianapolis Motor Speedway. However, it is also home to more than 500,000 small businesses, which employ a total of 1.2 million people. If you are looking to build or grow a small business in Indiana, take a look at the resources below for mentorship, funding, and more. The Indiana District Office is responsible for the successful delivery of the SBA’s many programs to the state’s ninety-two counties. This includes offering operational assistance, startup assistance, and valuable advice on procurement, contracting, and subcontracting, the Indiana Chapter Office remains an integral part of the state’s thriving small business community. The unified voice of more than 10 million women-owned small businesses, the National Association of Women Business Owner’s mission is to provide assistance, capital, and counseling to what they consider to be the fastest growing segment of the economy. The Hawkeye state is home to 267, 733 small businesses who employ 48.3% of the private workforce. 98 percent of businesses in the state of Iowa are federally classified as small businesses, and those businesses are growing. In 2015, those small businesses created nearly 18,000 new jobs, bringing the state’s unemployment rate down to just 2.9%. Want to learn more about the state of small businesses in Iowa? Take a peak at the SBA’s 2018 Small Business Profile for Iowa. If you are ready to be part of the growing small business economy in Iowa, check out the small business organizations below. The Iowa District Chapter of the SBA is directly responsible for the implementation of the SBA’s programs and services to the three million state citizens residing in ninety-nine counties. Founded in 1903, ABI’s mission is to create financial opportunities for its fifteen hundred-member companies responsible for the representation of over three hundred thousand citizens. In 2018, the unemployment rate in Kansas was 3.5% – considerably below the national average of 4.1%. Part of that continued decline is due to small businesses, which added 15,000 net jobs in 2015. If you are looking to start or grow your business in Kansas, take a look at the small business resources below. They offer assistance with funding, networking, advocacy, and marketing. Shares responsibility with the Kansas City, Missouri office in representing the 105 counties of the state of Kansas. Helps Kansas residents find economic success through partnership, resources, and advocacy. The state of Kentucky is dedicated to helping small businesses grow. Why? Because despite a growing national economy, the state still has a higher than average unemployment rate and a slower than average rate of growth. Need proof? In 2016 48,665 loans valued at $740 million were issued by Kentucky lending institutions under the Community Reinvestment Act, resulting in an increase of 1.9% in business ownership. Find out more about the state of small businesses in Kentucky here. Looking for resources to grow your Kentucky small business? Consider the organizations below. This Small Business Association currently serves the one hundred and twenty counties in the State of Kentucky. State cabinet for economic development aimed at making business strong through a network of offices offering assistance to entrepreneurs and innovators. Committed to providing excellent service to its member base with respect to their diverse needs and interests. The small business economy in Louisana is booming. Currently, the great state of Louisiana is home to more than 437,000 small businesses – which employ more than 53% of the private workforce. Over the past few years, those growing businesses have helped reduce the unemployment rate from 5.8% in 2017 to 4.6% in 2018. If you are looking for resources to grow your small business, we suggest starting with the organizations below. The SBA’s New Orleans District Office is tasked with serving sixty-four parishes, comprising an area of nearly forty-five million square miles. Louisiana’s unique geographical makeup consisting of bayous, the Mississippi River, and the Gulf of Mexico has resulted in a bustling economy offering plenty of opportunity to citizens. The association strives to cultivate a climate for financial growth through the ongoing championing of the many principles of the free enterprise system. The SHBA has been a forerunner for over fifteen years in promoting the local area for valuable business opportunities. Best known for lobster and its rocky shoreline, the state of Maine is also home to thousands of small businesses. In fact, small businesses employ more than half of all workers in the state. These small businesses helped reduce Maine’s unemployment rate to 3% in January 2018, considerably below the national average. If you are looking for resources to help grow your small business in The Pine Tree State, check out the resources below. Maine’s chapter of the SBA is located in the state capital of Augusta and is responsible for serving sixteen counties. This association provides ongoing advocacy for legislative policies that foster improvement in the economy, environment, and local communities. Small businesses in Maryland employ 1.1 million workers, which is just over half of the state’s workforce. If you are looking to build or grow your businesses in Maryland, we highly recommend the resources below for assistance with mentoring, loans, and other resources. The Baltimore District Office is directly responsible for providing SBA programs to small business owners and entrepreneurs located in Baltimore City and the many counties in Maryland. Need help with financing? For the 2017 fiscal year, the Maryland chapter of SBA helped 611 small businesses obtain nearly 250 million dollars in loans and financing. It is also worth noting that the counties of Montgomery and Prince George are served by the Washington Metro Area District Chapter Office of the SBA. The Pasadena Business Association assists entrepreneurs and small business owners to benefit the community and state. The Old Takoma Business Association supports locally-owned, independent businesses with financing options, commercial space assistance, and an array of valuable resources. The state of Massachusetts is home to 6.8 million people and 652,661 small businesses. Those small businesses employ 46% of the state’s workforce and continue to create thousands of jobs every year. Ready to join the nearly 700,000 business owners in your state? The resources below can help you build a thriving small business. With an office headquartered in Boston and a satellite office in Springfield, the Massachusetts chapter of the SBA serves nearly seven million residents in the state’s fourteen counties. Helping New England businesses connect and grow. This organization furthers the business and economic goals of the local Andover area and the State of Massachusetts. In 2015, small businesses in Michigan employed 1.8 million people, or just under half of all workers in the state. If you are looking to start a small business, now may be the time. In 2017, the state economy grew at a rate of 3.4%, which is above the national average. Find out more about the small business economy in Michigan in this SBA report. If you are looking to build or grow your Michigan small businesses, look into the resources below. The Michigan chapter of the SBA has experienced record growth in recent years. In 2017, state lenders set new records via their usage of SBA loans and products, resulting in lending growth of 15% to total $921 million. Rapid economic growth on a statewide level has led to increased lender participation, with 160 institutions participating in SBA loan programs. In fact, SBA-supported loans (including third-party 504 loans) were more than one billion dollars for the first time in the state’s history. Founded in 1903, the MABA began as the Michigan Grain Dealers Association and has evolved into an organization dedicated to advancing local and state education along with business advocacy and assistance. Established in 1967, the MBTA is an official chapter of the Global Business Association. Working together, the groups provide their members with information and assistance on the updates, legislation, and services surrounding modern technology. Are you looking to build or grow a small business in The Land of 10,000 lakes? You could join a growing number of small business owners who employ 47.8% of the Minnesota workforce. That is 1.2 million people who bring home the bacon due to small businesses like yours. If you are looking for small business resources in the great state of Minnesota, check out the list below. This branch of the SBA serves the 5.57 million state population spanning eighty-seven counties. The West Bank Business Association is a nonprofit organization that informs and advises its many business members located in the West Bank/Minneapolis area. Nearly 3 million people call the state of Mississippi home and, according to the SBA, 434,843 of those Mississippians work for small businesses. With a declining unemployment rate and a fast growing economy, now is a good time to start or grow a small business in Mississippi! If you are ready to join 254,598 other small businesses owners in the state, check out the resources below. The two Mississippi District Offices of the SBA are responsible for serving citizens living throughout the state, with the Jackson location serving the seventy counties in the north, and the Gulfport brand serving the twelve southernmost counties. Representing more than twenty-one thousand members, the ABC is a national construction trade association with seventy chapters across the United States unified in the goal of helping members in the commercial and industrial sectors. It is a good time to be a small business owner in Missouri! In 2015, small businesses created 32,557, bringing the number of small business employees up to 1.1 million. If you are looking to build a small business in The Show Me state, check out the resources below. St Louis’ district office serves the fifty-four counties located in the east part of Missouri, while the other district offices serve twenty-eight Kansas counties and fifty-one in Missouri. In most states, small businesses employ around half of the state’s workforce. Not so in Montana – where an impressive 65% of workers make their living from small businesses. If you are looking to join the growing state economy, look into the resources below. The Montana District Office is the sole SBA office in the state of Montana, serving all of its fifty-six counties. The fourth largest state in the country, Montana spans roughly 147,000 square miles, with thousands of those miles traveled every year to provide business and financial assistance to the state’s constituents. Currently, the Montana District Office of the SBA serves over 904,000 citizens – and 364,721 of them are over 65 years of age or younger than 18. Recent data reveals that nearly 41% of Montana’s salary and wage jobs are in businesses which employ less than twenty people, and 75% of wage and salary workers are employed with firms with less than one hundred employees. Located in the center of the continental United States, Nebraska may be best known for being part of The Great Plains. However, the state is also home to 172,958 small businesses who employ 46% of the state’s workforce. Find more information about the small business economy of Nebraska in this report by the SBA. If you are considering starting a small business in Nebraska, check out the resources below. These small business organizations offer funding, mentorship, and much more. The Nebraska District Office is tasked with connecting entrepreneurs and small business owners across the state to create a network of thriving small business enterprises ranging from self-employed small companies to larger operations employing up to five hundred people. The primary focus of the Nebraska Chapter is to provide its members and prospective members with critically needed capital funding to help businesses get off the ground and successfully contribute to the Nebraska state economy. Dedicated to helping Omaha’s small business owner and entrepreneurs obtain the tools and resources they need to become thriving operations. Most people think of Las Vegas when Nevada comes to mind, but there is much more to the state. Recently, the state of Nevada has been struggling with high unemployment rates, but that number has seen a marked decline since 2015, due in part to small businesses. In fact, small businesses in Nevada added 26,753 net jobs in 2015. If you are considering starting a small business in the state of Nevada, look into the following resources. Serving sixteen counties and the independent city of Carson City, the Nevada Chapter of the SBA provides SBA services to a population of nearly three million. Serving the economically and socially disenfranchised populations of women and minorities, the NWBC offers access to funding, training, mentoring, and free work spaces. With a population of just 1.3 million people, the state of New Hampshire might not come to mind as a great place to start a small business. In fact, the state has a thriving small businesses economy that employs over 300,000 people. Ready to start your small business in New Hampshire? Check out the resource below. This SBA serves New Hampshire’s 1.343 million population spanning ten counties. Nestled between New York City and Philadelphia, the state of New Jersey offers small businesses owners proximity to several metro areas, access to thousands of skilled workers, and a steadily growing economy. To learn more about the state of the small business economy in New Jersey, we recommend reading the 2018 Small Business Profile created by the SBA. Looking for small business resources in New Jersey? Look into the organizations below. The New Jersey Chapter of the SBA offers state citizens all of the programs and benefits of the national SBA program, including the 7(a) SBA guaranteed loan program and the Certified Development Company 504 loan program for long-term financing. NJBIA strives to assist its members and business owners in the state of New Jersey achieve financial success through access to training, legal resources, and healthcare resources. The state of New Mexico is home to 60,595 minority-owned businesses and a total of 154, 257 small businesses. With a growing economy and plenty of skilled workers, New Mexico is an ideal place to start your small business. Learn more about the state of small businesses in New Mexico in this SBA report. Looking for small business organizations in New Mexico? Start with the list below. Serving thirty-three counties, the New Mexico Chapter of the SBA offers small business capital and financing programs, along with an array of special initiatives and outreach efforts to further bolster the overall success of its constituency and state economy. Programs include free consulting services through SBA network partners, assistance for economically disadvantaged people through the 8(a) Business Development Program, special programs for women entrepreneurs, and exclusive specialized aid for businesses involved in international trade. New Mexico’s premier statewide business advocate – fights for small business on the state and federal levels. The state of New York is the fifth most diverse state in the country, based on a study by WalletHub. This diverse background provides small business owners with a wide range of available markets and a diverse employee base. If you are looking to join the 2.1 million business owners in the state, check out the small business organizations below. They offer assistance with funding, access to training, mentorship, and more. The New York District SBA Office is responsible for the implementation of the Small Business Association’s programs and initiatives to Long Island and New York City, in addition to the southern counties of Putnam, Duchess, Sullivan, Rockland, Orange, Westchester, and Ulster. An extensive professional network of business owners sharing knowledge, skills, and more. Also known as The Tar Heel State, the great state of North Carolina is home to 890,398 small businesses who employ just over 44% of the state’s private workforce. With a declining unemployment rate and an economy growing faster than the national average, North Carolina offers plenty of opportunities for small business owners. Need help starting your North Carolina small business? The resources below can help. The North Carolina SBA Chapter continues to develop its small business assistance, loan, and educational programs as the state economy continue to grow at a rapid rate. Notable programs include the Fixed Asset Financing Program (504 loans) that small businesses can obtain financing for procuring equipment, land, machinery, and buildings. There are also 7(a) loans available through a network of preferred and express lenders. This organization advances the needs of Mount Airy-area small businesses through promotion and access to information relevant to local business owners. If you live in North Dakota, there is a good chance you work for a small business. Currently, 57% of percent of North Dakotans are employed by 72,723 small businesses – and that number is growing fast. Considering starting a small business in North Dakota? Check out these small business organizations. The North Dakota SBA District Office works alongside a network of private and public programs and partners to assist the burgeoning small business community in the state. Free SCORE mentoring is widely available, along with extensive financial assistance programs and a variety of loans and designated programs for veterans and their spouses. Established in 1934, the NDHA has been actively representing and advocating for its member organizations for over eighty years. They are a voluntary trade organization of licensed North Dakota hospitals dedicated to fostering excellence in the medical field. The Buckeye State has a robust small business economy. Currently, nearly 950,000 small businesses employ 2.2 million people. If you want to build or grow a small business in Ohio, look into the resources below for education, funding, and mentorship. The SBA has two district chapters in Ohio – one in Columbus and one in Cleveland. The district office in Columbus serves the sixty counties in the southern, central, and northwestern counties of Ohio, spanning a geographical area of roughly twenty-nine thousand miles. The Cleveland office serves the remaining counties of Ohio. These offices work in tandem to provide Ohio’s citizens with an array of small business services including education and finance, along with an extensive outreach program. For the fiscal year 2017, the Ohio Chapters of the SBA assisted over 1,800 businesses to obtain $214 million of capital funding through a variety of loan programs, resulting in a twenty percent increase over previous years. This organization advocates at the local, state, and federal levels for Ohio hospitals and health systems. In 2015, small businesses in Oklahoma employed 712,797 people, equal to 52.0% of the private workforce. With declining unemployment numbers and rising economic growth, The Sooner State is a fantastic place to start a small business. Looking for Oklahoma small business resources? The organizations below help small businesses in Oklahoma grow. This branch of the SBA serves seventy-seven counties and a total population of 3.931 million people. They provide support, education, advocacy, legal assistance, and an array of member resources for educational professionals. Founded in 1969, the OCFF maintains donor partnerships to create charitable funds to help members of the community. The state of Oregon has a growing economy dedicated to helping small businesses succeed. In fact, 55% of the workforce in Oregon work for small business. And those businesses are growing – small businesses added 35,384 net jobs in Oregon in 2015. If you are looking for small business resources in Oregon, start with the organizations below. Oregon’s SBA district office is responsible for delivering the many programs and initiatives of the national SBA office to thirty of Oregon’s thirty-six counties. The remaining six counties (Harney, Grant, Malheur, Baker, Wallowa, and Union) served by the Boise Chapter in Idaho. The Technology Association of Oregon supports entrepreneurs through networking, marketing, advocacy, and talent development. Their goal is to create a world-class, innovative Oregon state economy. Strives to strengthen the collective voice of its citizens and to enrich the lives of all Oregonians through supporting non-profit organizations in the state. The great state of Pennsylvania is home to one million small businesses. This works out to one company for every 12 people in the state, according to U.S Census. While the unemployment rate in the state is still higher than average, it is declining quickly – down to 4.8% in January 2018 from 5.2% in January 2017. Looking to grow your small business in Pennsylvania? Look into the small business resources below. Serving the fifth largest state in the U.S., the Pennsylvania SBA District chapter is directly responsible for providing the 12,805,537 citizens of Pennsylvania with education, advocacy and financial assistance in small business and entrepreneurship matters. The Bristol Borough Business Association’s primary goal is to promote its township, businesses, and to stimulate its economy through the advancement of small businesses. Rhode Island may be the smallest state in the union, but it is home to a robust small business economy. According to the SBA, nearly 53% of the Rhode Island workforce works for small businesses. Small but mighty, indeed. Looking for Rhode Island small business resources? Contact the organizations below for help with education, financing, and more. Rhode Island’s SBA Chapter is tasked with serving a state population of 1.06 million dispersed throughout five counties (Bristol, Kent, Newport, Providence, and Washington.) Despite its diminutive size (the smallest state in the U.S.) Rhode Island remains a bustling locale for business enterprise. Founded in 1939, the EARI, has a storied past as one of the oldest and most experienced business and networking organizations in the New England area. They help business owners build relationships with other business leaders, find leads, and exchange ideas. Membership is selective. Small businesses have room to grow in The Palmetto State. In 2015, South Carolina small businesses employed 777,012 people, equal to 46.7% of the private workforce. If you are looking for resources to help build your small business in South Carolina, we recommend checking out the organizations below. There are two South Carolina SBA offices comprising the South Carolina District Chapter – one in Columbia and an “alternate worksite” satellite office in Charleston serving the southernmost and coastal parts of the state. International Association of Christian “kingdom-minded” entrepreneurs and small business owners dedicated to helping owners connect with like-minded individuals. The southern Dakota state is probably best known as being the home of Mount Rushmore, the iconic carving of U.S. presidents. However, South Dakota is also home to a large and fast-growing small business economy. In fact, nearly 60% of South Dakotans work for small businesses. Looking to build a thriving business in South Dakota? The small business organization that follow can help. The South Dakota Chapter of the SBA has six regional offices across the state to service citizens living in rural locations and bigger cities. South Dakota’s Small Business Association Chapter has also forged strong alliances with local groups such as the Center for Women Business Institute and the South Dakota Small Business Development Center. The SDR represents the interests of companies selling retail services and products in the state of South Dakota through training, advocacy, and in-person events. PFBA helps family business get started and flourish through the generations by providing education, access to resources, and networking. With 2.6 million small businesses, The Lone Star State ranks #4 on CNBC’s Top State for Business. A well-educated workforce and reliable infrastructure make Texas an ideal place to build and grow a small business. The following small business organizations help Texas small businesses succeed. The Texas Regional Chapter of the SBA is referred to as the Dallas/Fort Worth District Office (DFW DO) and is committed to the ongoing economic growth and sustenance of small business enterprises throughout the state. The DFW DO strives to provide ongoing efforts for “customer-driven outreach and quality management,” in addition to making marked efforts to reach out to rural small businesses in an unprecedented fashion. The Regional Administrator heads outreach to small businesses in rural locales. The North Texas Small Business Development Center Network is currently the most extensive management assistance program serving the business arena in the United States. They offer a wide range of training and resources to help small businesses start and grow. Small businesses are growing fast in Utah – in 2015; they added 29,956 net jobs to the state’s economy. With a lower than average unemployment rate and an economy growing faster than average, now is the time to build your small business in Utah. Looking for small business financing and resources in Utah? The organizations below can help. The Small Business Association’s Utah State Chapter has enabled thousands of small businesses in the state of Utah to launch and grow. In the fiscal year 2017, the Utah SBA District Office increased their SBA guaranteed loans to an unprecedented $597 million, their largest dollar amount to date. The Startup Connectory is an expansive network of all the entrepreneur groups, associations, seminars, and meetups across the state of Utah. Offers capital financing, marketing assistance, and business mentorship to new and existing business owners. The great state of Vermont is best known for Vermont cheddar cheese, maple syrup, and the ever-popular Ben and Jerry’s ice cream. But, there is much more to The Green Mountain State than tasty food. The state is also home to a bustling small business economy that comprises 97% of all businesses in the state. Centrally located in the city of Montpelier, the Vermont District Office of the SBA administers SBA services to a population of over six hundred and twenty-five citizens spread across the fourteen counties of Chittenden. Rutland, Washington, Windsor, Essex, Grand Isle, Orleans, Lamoille. Franklin, Windham, Bennington, Addison, Orange, and Caledonia. The mission of the Vermont Chamber of Commerce is to simultaneously grow members’ businesses along with the Vermont state economy. The many aims of the Vermont Small Business Development Center include but are not limited to, the creation of jobs, securing capital for small businesses, helping citizens build wealth, and contributing to the Vermont state economy. Considering starting a small business in Virginia? You’d be in good company. The state is home to 723,962 small businesses which employ a total of 1.5 million people. To learn more about the state of the Virginia small business economy, read the SBA’s 2018 Small Business Profile for Virginia. Need help with small business financing, training, or counseling? The organizations below are great small business resources in Virginia. For the fiscal year 2015, the Virginia SBA chapter approved a total of 669 guaranteed loans valued at more than $334 million. The Virginia chapter of the SBDC is a premier business organization in the Virginia Commonwealth, helping local citizens start and grow their businesses through a variety of programs, training, and counseling. The Small Business Alliance program is headed by the Virginia Chamber of Commerce and is partnered with regional chambers to ensure that the needs of small business owners and entrepreneurs are recognized. The state of Washington is the 13th most populated state in the union and has a fast-growing economy. The Evergreen State is home to a total of 590,908 small businesses. Those small businesses, defined as companies with less than 500 employees, employ a total of 1.3 million people. There are plenty of opportunities to grow a small business in Washington, and the resources below can help you do just that. The great state of Washington has its SBA Chapter headquarters in Seattle along with an alternate office in Spokane, serving both the eastern parts of Washington State and northern Idaho. Since 2005, the West End Business Association’s primary purpose has been to unify, strengthen, and serve the business establishments in the West End area of Washington. Specializing in helping business education professionals in the constantly evolving areas of business and education. West Virginia may be the 11th smallest state in the union, but it is home to a diverse population of people as well as 114,391 small businesses. In the past few years, West Virginia has suffered from high unemployment rates and slow growth, but small companies may be able to change that trend as funding and resources become available. In fact, SBA-guaranteed loans valued at more than $35.5 million were provided to small businesses in West Virginia, resulting in the creation of over fifteen hundred jobs. The resources below can help you build or grow your small business in West Virginia. The West Virginia SBA Chapter offices are headquartered in Clarksburg with a satellite office located in Charleston. The state’s district office is responsible for the coverage of more than twenty-four thousand square miles which comprise the fifty-five counties within West Virginia. Currently, there are eighteen Small Business Development Centers throughout West Virginia that are partnered with the West Virginia SBA chapter to provide almost six thousand hours of counseling to nearly one thousand clients. For the fiscal year 2015, the West Virginia Chapter of the SBA accomplished the task of helping 5,052 citizens at 323 customized training seminars tailored for specific populations. The West Virginia Chamber of Commerce is an association that helps local citizens deal with issues, advocacy, voter education, and a number of business-related resources. Wisconsin is probably best known for cheese, but the state is also an underappreciated economic powerhouse. Nestled between Chicago and Minneapolis, Wisconsin offers small business owners access to a diverse market and easy access to several metro areas. If you are interested in joining 448,032 small businesses owners in Wisconsin, contact the small business organizations below. The Wisconsin Small Business Association District Office is responsible for the successful delivery of SBA’s services, training, and programs to the “Badger State’s” seventy-two counties consisting of a population of 5.8 million people. Currently, the Wisconsin chapter has two regional offices located in Madison and Milwaukee. For the fiscal year 2017, the Milwaukee Regional Chapter of the SBA guaranteed loans to 1503 small businesses via the 504 and 7(a) loan programs to ultimately total over $650 million. In the fiscal year 2017, the chapter made five hundred and sixty-five loans to new business startups. Teaches its members how to start a dynamic, flourishing business via the association’s many resources such as one-on-one counseling and access to capital through micro-lending programs. Exclusively serves the diverse needs and interests of small business enterprises in the state of Wisconsin. Best known for being home to most of the Yellowstone National Park, Wyoming is also home to more than 65,000 small businesses who employ 62% of the private sector workers in the state. Currently, the state is experiencing slower than average growth, which may present opportunities for small business financing assistance. If you are looking to build or grow your small business in Wyoming, the following resources can help. The Wyoming District Office for the SBA, also referred to as the WDO, is strategically located in the city of Casper and is responsible for providing SBA services to the state’s 470,000 citizens. The State of Wyoming’s Economic Development Agency; responsible for assisting its 579,315 citizens. The WWBC provides women business owners in Wyoming with access to capital, a range of client services, and resources such as training and counseling. While this list is comprehensive, it is by no means exhaustive. Bear in mind that there are countless business organizations and associations, located in every state, catering to unique populations and the diverse interests of entrepreneurial-minded people just like yourself. Looking for additional resources to help your small business grow? Start with the following resources. Did we miss a valuable resource? Please let us know. Image Sources: Open Sign, State Small Business Organizations Images, and Veteran Business Association Image were created by the author via Snappa. 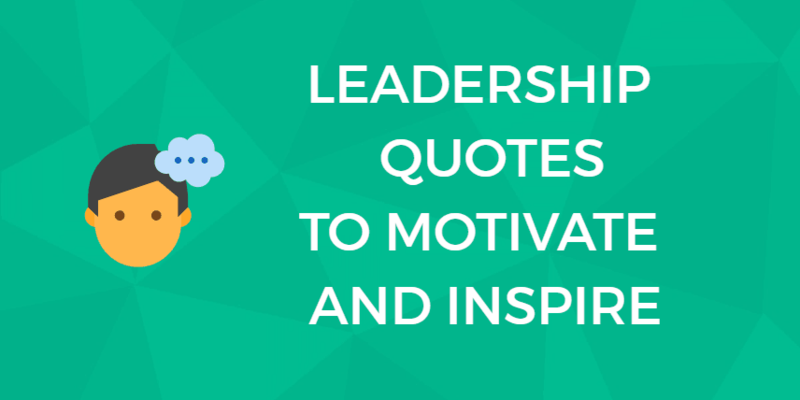 Previous: Motivational Quotes For Small Business Owners Like You.